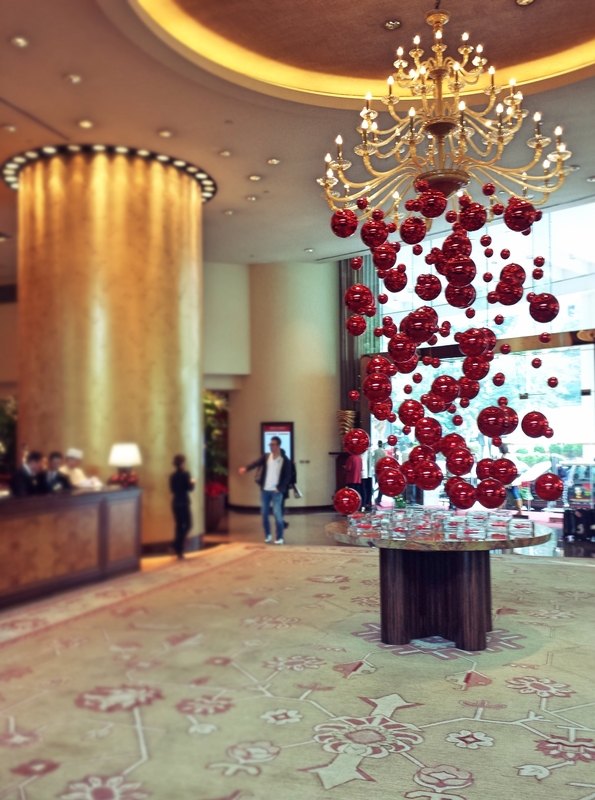 The Conrad Hong Kong located at Pacific Place – a complex of three five-star hotels, office towers and a four-level shopping centre connected to the Admiralty MTR station. Developed by Swire Properties over three phases from 1985 to 2004, the first phase houses the JW Marriott Hotel and the second phase houses the Island Shangri-la and Conrad hotel. Opened in 1991 the 61 level Conrad hotel boosts 513 rooms and suites offering breathtaking views of Victoria Harbour or The Peak. Occupying the top eight floors of the hotel are 204 Executive Floor guestrooms and suites plus the newly renovated Executive Lounge on level 59. 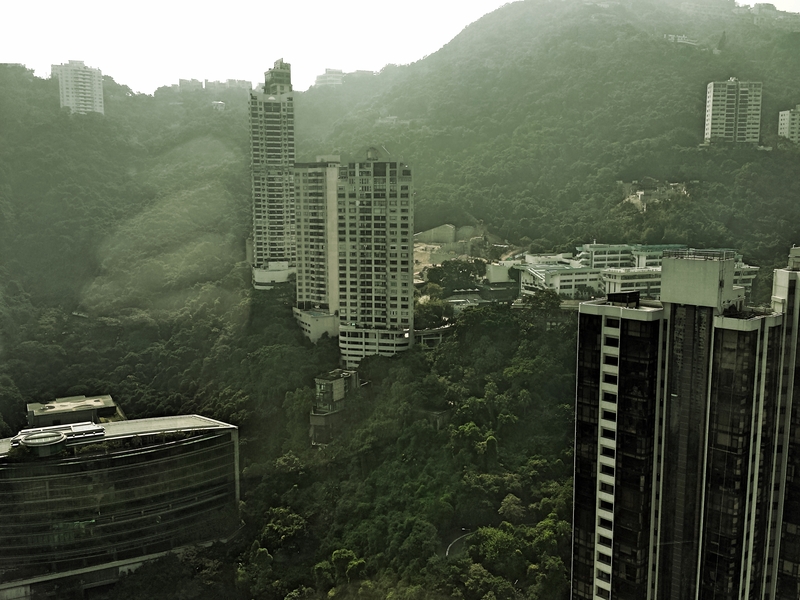 Over Christmas we checked into the 42 m² King Executive Peak View room on level 57 overlooking picturesque Victoria Peak. Upon arrival, we were quickly ushered to check-in at the Executive Lounge and made to feel at home straight away by the friendly staff. The elegance of the room and the soothing greenery captures your attention straight away as you walk in and you almost forget that you’re in bustling Hong Kong. Once settled in you’ll notice that maintenance and upkeep is simply impeccable at Conrad Hong Kong with little signs of aging, and the welcome platter sitting on the ottoman is a nice touch. Conrad offers three lines of bathroom amenities: Aromatherapy Associates, Shanghai Tang or Tara Smith. One of the things I look forward to staying at a Conrad hotel is meeting their custom rubber duckie (different at each hotel) and cute teddy bears. We checked-in around noon so it was perfect timing to have yum cha at one of the five onsite restaurants Golden Leaf. Ambience is hugely important for a restaurant because we eat not only with our mouth but eyes too and Golden Leaf ticks that box with its contemporary styling creating a traditional yet modern Chinese surrounding. Yum cha is good at Golden Leaf but we personally prefer Lung King Heen at the Four Seasons or Ming Court at Langham Place. Want to work off the calories after lunch? The Pacific Place mall has 130 specialty stores, mainly high-end fashion houses like Louis Vuitton, Chanel, Hermes, Piaget, Bulgari but there are more affordable options mainly on level 1 such as Armani Exchange, Zara and Coach. Alternatively the 24-hour health club is well equipped plus a sauna and steam-room is available as well as an outdoor heated swimming pool. 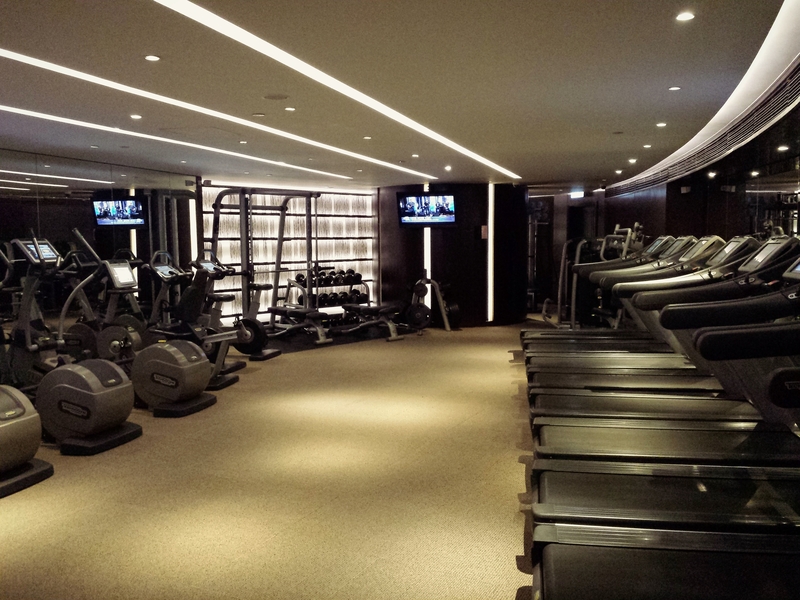 Once you’re tired from shopping or exercising, head up and relax in the 240m² Executive Lounge which serves a nice afternoon tea (as well as buffet breakfast and evening cocktails) over uninterrupted views of the Hong Kong skyline along Victoria Harbour. 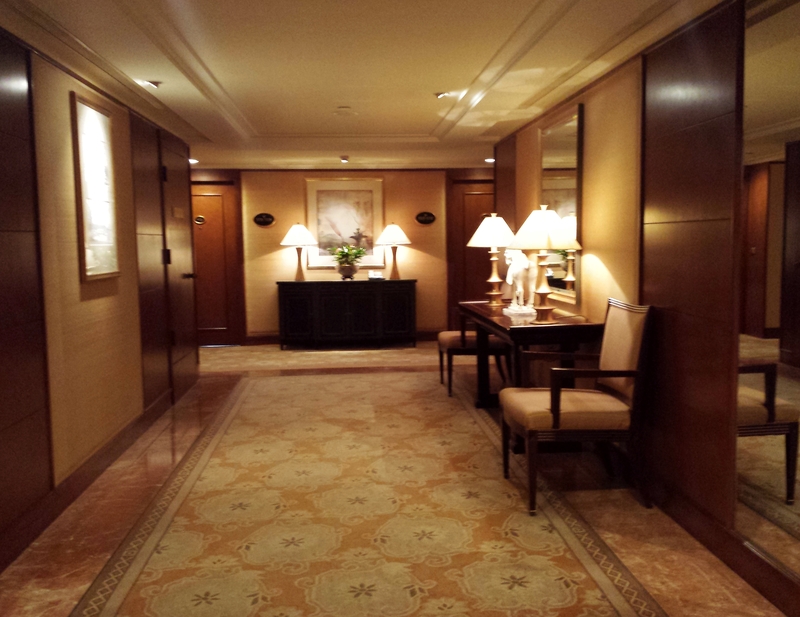 In a city full of luxury hotels, it’s hard to stand out among the crowd. But the Conrad does. Through it’s impeccable service and extremely comfortable rooms, Conrad Hong Kong is certainly fitting for any modern and sophisticated travellers on business or leisure.